The Harley-Davidson XRTT is almost certainly the most beautiful motorcycle ever to roll out of the Milwaukee factory of the venerable American motorcycle marque. 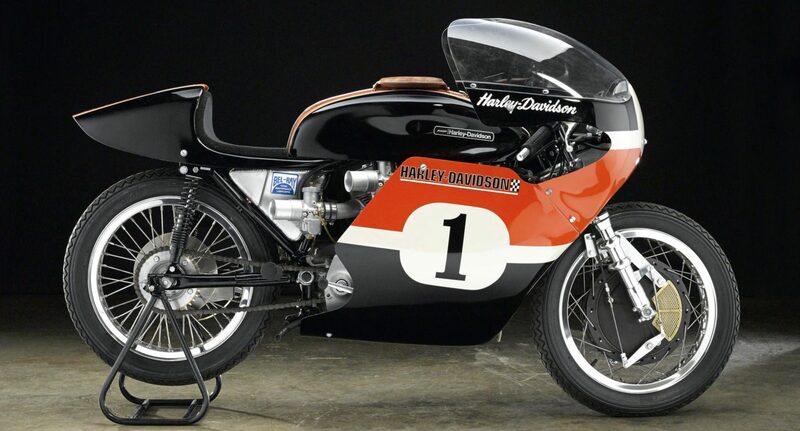 It was fitted with the legendary Harley-Davidson XR750 engine well-known to the flat track circuits of the United States and the intent was to fly to the United Kingdom and challenge the Brits at their own game – the Trans-Atlantic Match Race Series. 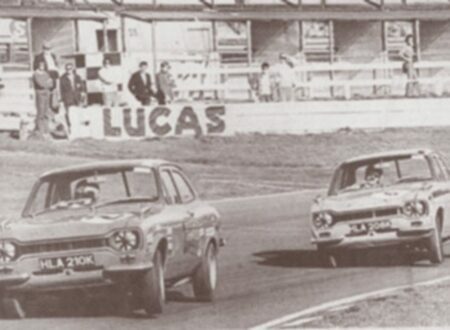 This series took place over 6 races on paved circuits around the UK and it was widely thought that the Americans, more familiar with muddy ovals, would be far out matched by their cousins across the pond. 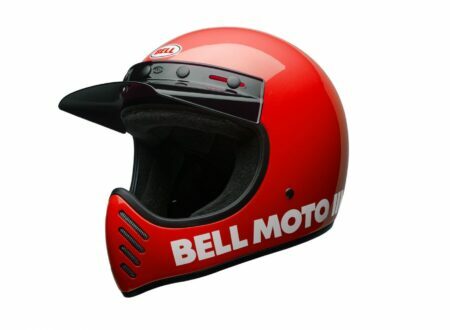 As it happened, the Americans brought Cal Rayborn II with them, a factory rider for Harley-Davidson who had won two consecutive Daytona 200 races in 1968 and 1969 before setting two motorcycle land speed records in 1970. 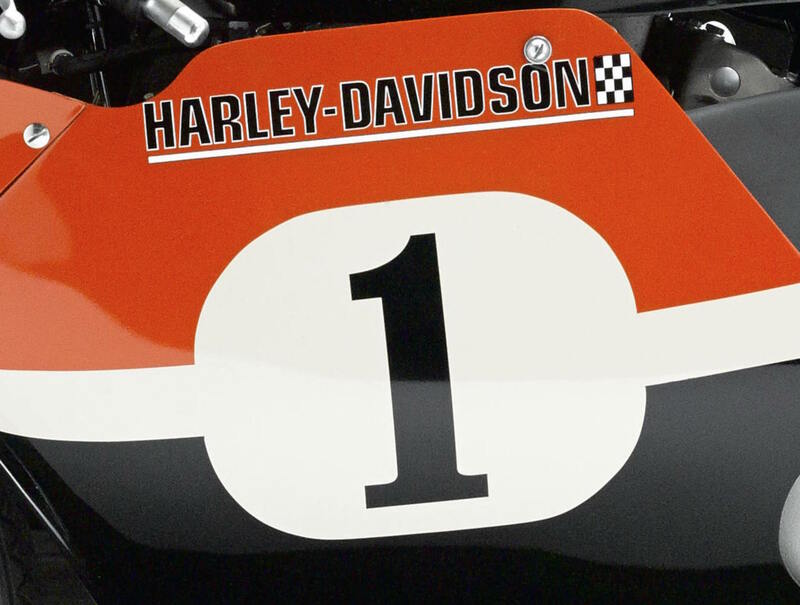 Cal had never been to any of the 6 circuits in the Trans-Atlantic Match Races, he had only seen rough sketches of the tracks on pieces of paper before arriving in the country on his slightly outdated XR750 engined Harley-Davidson XRTT. 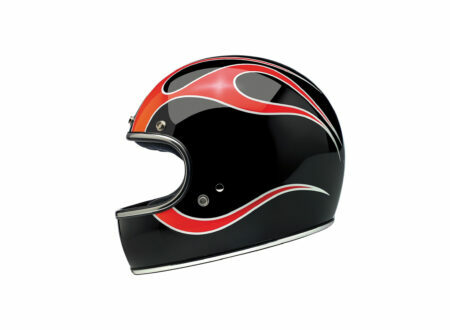 He’d been promised a pair of new alloy barrels for the bike but they weren’t ready by the time the series started so he raced on his old cast iron barrels – nicknamed “the waffle irons” because they got so hot during racing they could begin to warp. 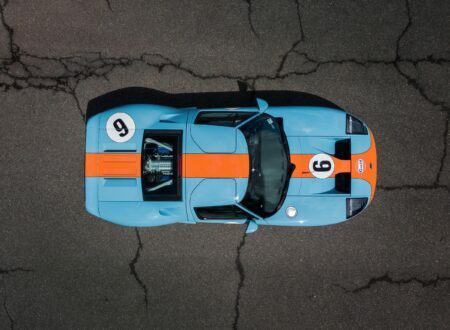 By the time the 1972 Trans-Atlantic Match Races finished, Cal Rayborn II had won half of the races and was tied for the lead in points – a result no one had anticipated and many had thought impossible. 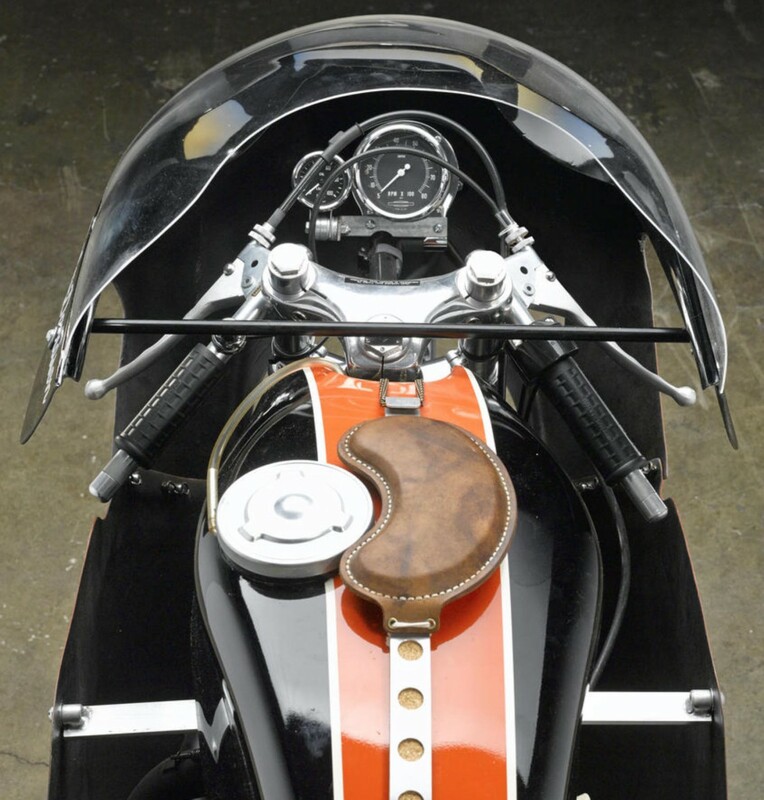 From a technology perspective, the Harley-Davidson XRTT was a relatively raw machine. 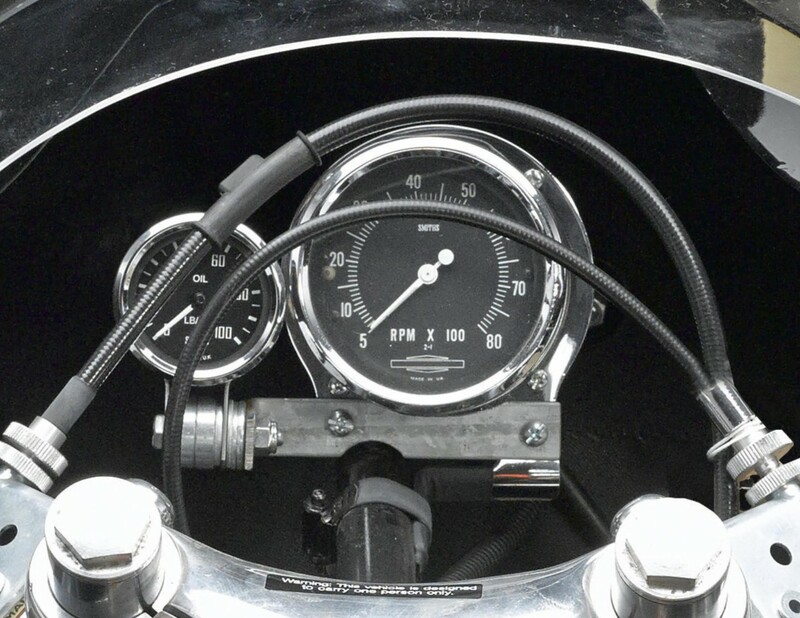 It used Ceriani forks, Girling shock absorbers, twin 36mm Mikuni carburettors and dual reverse cone mufflers, a speedometer would have been a pointless addition of a few ounces of weight so it was forgone in favour of a Smiths tachometer sitting next to a small oil gauge. The fibreglass fairing and fuel tank were both visually stunning and very effective aerodynamically and unlike its sibling the XR750, the XRTT had effective brakes – a four leading shoe drum on the front and a single side disc on the rear. 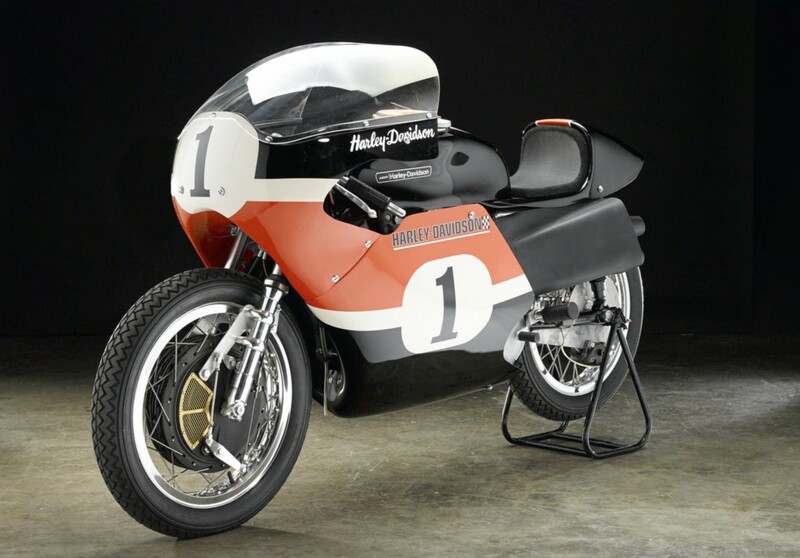 As the 1970s progressed the multi-cylinder and two-stroke bikes from Japan would come to dominate road racing and Harley-Davidson’s underdog XRTT would be relegated to museums and private collections. The model you see here is the newest XRTT you’re ever likely to come across – it started life as an original early alloy engine, which was sent to well-known XR specialist garage Hi-Speed in Ohio. 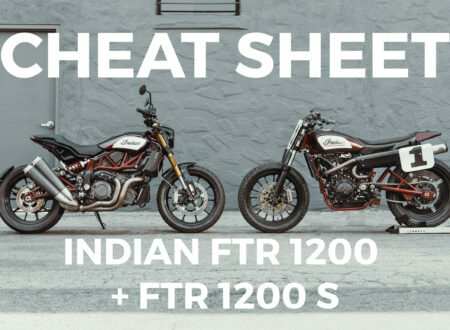 The team at Hi-Speed then spent 2 years painstakingly building a new XRTT off the original factory blueprints using as many original parts as possible. 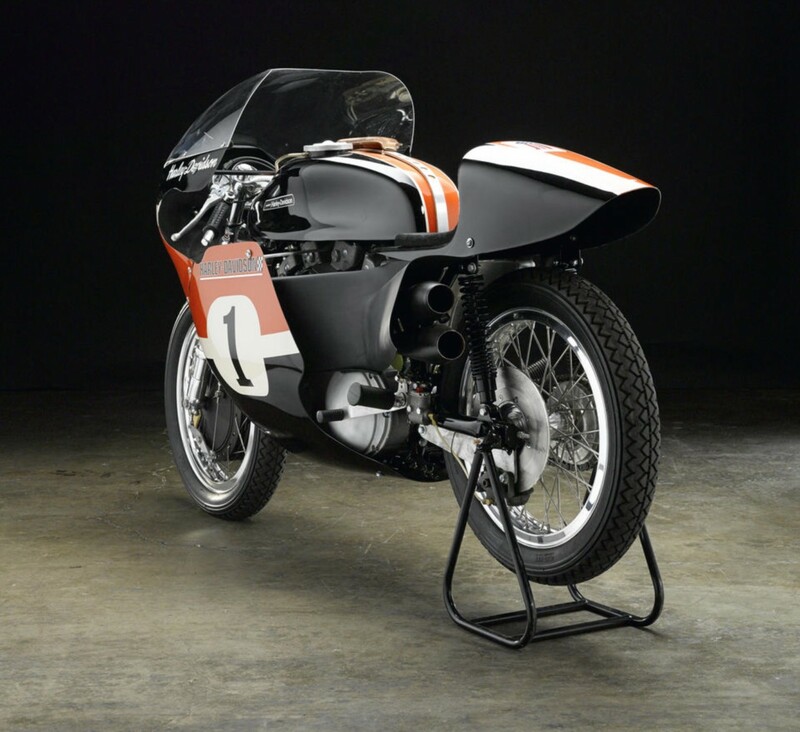 Their goal was to create a bike that would be identical to the originals that were built in 1972 and after having poured over these images, I’d say they nailed it. If you’d like to add this bike to your collection you’re in luck, it’s due to be sold at the Las Vegas Motorcycle Auction on the 9th of January 2015. 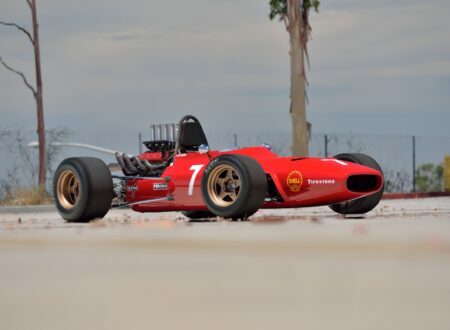 Bonhams have estimated the value at between $55,000 and $60,000 USD and I have no doubt it’ll sell for at least that if not a little more, although it’s likely that it’ll sell to a private collector and never see the light of day I can’t help but hope it sells to someone who fills it up with oil and fuel and takes it racing.